Colorado Career & Technical Education (CTE) is developing a state strategic plan for CTE that considers our unique landscape and opportunities over the next five years. The plan will help ensure we provide learners access to quality CTE programs that align with industry demand and lead to high wage, high demand, and high skilled employment. The plan will also identify barriers and opportunities in our current systems. • Identify goals, priorities, and performance measures for tracking progress toward the goals. The strategic planning process will also assist us in meeting the requirements for developing our State Plan required for compliance with the Strengthening Career and Technical Education in the 21st Century Act (Perkins). The process will result in CTE continuing to be a driver in the state’s education, workforce, and economic priorities. Better prepared talent will enter the workforce. Stronger communities will be built. It’s Next Gen Ed. Please use the Stakeholder Surveys link to provide feedback on any of the topic areas noted. If you were able to participate in any of our regional meetings in February, these are the topic areas that were discussed. Feel free to give feedback on any you did not respond to at those meetings. If you were unable to attend, we look forward to your feedback on any topics of interest. These surveys will stay up until April 19, 2019. Focuses on the need for career exploration and development services & programs for all Colorado learners, including the role of business & industry in helping students explore career options. Focuses on the skills needed for success in future Colorado careers and how business and industry can help students develop those skills. Focuses on current perceptions of CTE on secondary and postsecondary education campuses as well as existing perceptions of skill-based careers in the state. Will include barriers for learners entering those careers. Focuses on the opportunities and barriers for learners to transition from their secondary to postsecondary education and on to their careers. A special focus on rural and under-served populations. Focuses on providing work-based learning for all Colorado students, including the role of business and industry. Discusses internships, apprenticeships, and opportunities for rural and underserved populations. The Next Gen. Ed. Visioning process will inform Colorado’s planning for Perkins V (The Strengthening Career and Technical Education Act for the 21st Century). 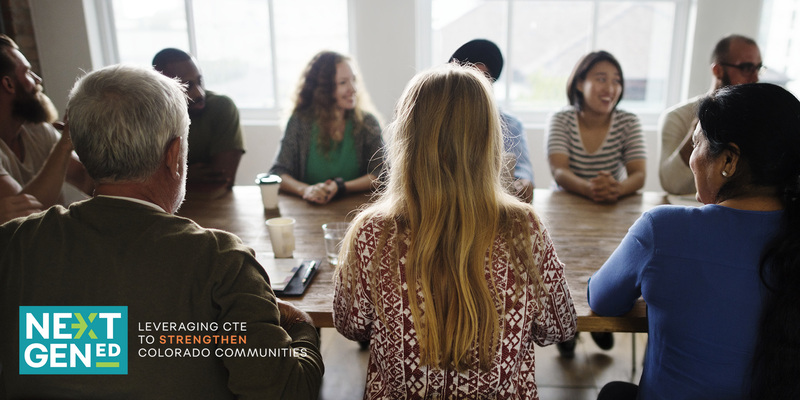 Through this summer, the Colorado CTE team will be hosting a variety of focus groups, webinars, consulting with critical partners in this work, and seeking feedback on a variety of topics specific to Perkins requirements. Check back to this page for updates. This is where the draft State Plan will be posted for comment as well as information on planned public hearings once comments have been received on the draft Perkins plan. Questions or comments should be sent to cte@cccs.edu. Summary Findings Feb 2019 Regional Meetings v2, Colorado CTE Regional Stakeholder Meetings.